Gaining Weight Naturally and healthy is a dream for everyone. 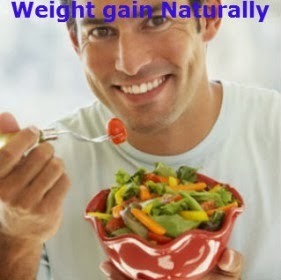 They want to gain weight quickly and naturally. But when we have instant ways to gaining weight its impact to our health, more over dangerous our body. So gaining weight naturally is the best choice. Do not eat three meals a lot to gain weight. Instead, divide it into six times at regular intervals. With the goal you have to eat every 3 hours and is on track to gain weight. If you feel even had enough to eat, but the weight still increases, then you should check the definition of "enough". Calculate your current calorie intake and increase by an additional 300-500 calories per day and it should be your calorie intake to increase your weight. 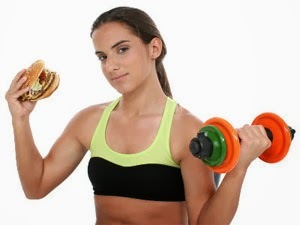 Now, all the extra weight you gain will still be a need to convert fat into muscle. So do not start right away with the heavy lifting and pushing yourself to do strenuous exercise. Remember as the saying goes, "let the slow home safely". Start by walking, stretching, light weight lifting and then increase it gradually. When doing so well up to this step, then your weight will increase about 0.5 - 1 kg a week. Give your body enough rest and relax. If you do not relax and unwind, then the stress will come to you. As we know, stress causes hard to gain weight, although for some people just the opposite. Water increases metabolism, so it is good for both weight gain and weight loss. Drink 8 glasses of water per day. If you can drink more than that is the better. So that the body does not become dehydrated which can cause many other health problems? And of course you want to increase stamina and fitness, right?